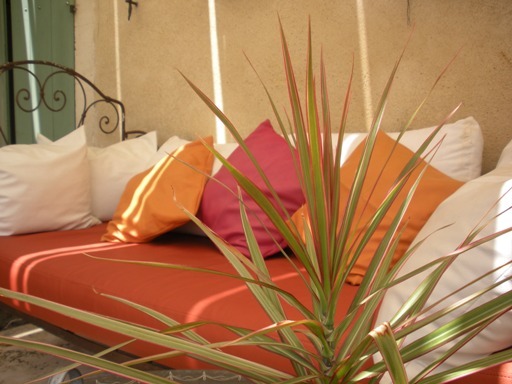 Jardin de Bacchus, a peaceful B&B located at 12 km from Avignon will warmly welcome you and offer you to stay in our bedrooms, subtle blends of authenticity, comfort and modern fittings, with splendid views over the vines and rough limestone landscape. A dinner at the well known table of Christine is proposed to discover her culinary creations which count numerous fantastic feed back. English. Dutch, Spanish and German are also spoken.